Ecology is warped for mystical-nationalist ends by a whole series of neofascist groups and parties. 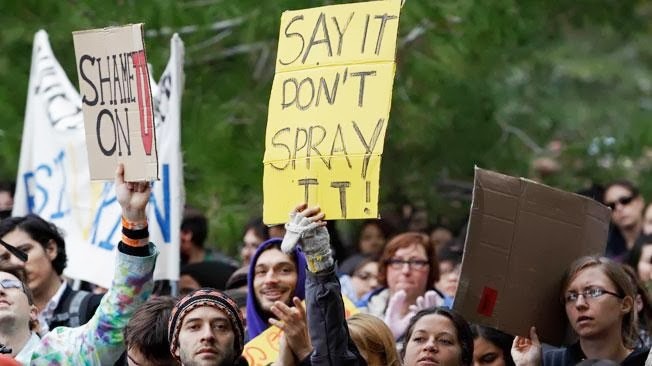 Indeed, so multifarious are the ecofascist parties that have arisen, and so much do their memberships overlap, that they form what antifascist researcher Volkmar Wölk calls an "ecofascist network." Their programmatic literature often combines ecology and nationalism in ways that are designed to appeal to people who do not consider themselves fascists, while at the same time they ideologically support neo-Nazi street-fighting skinheads who commit acts of violence against foreigners. 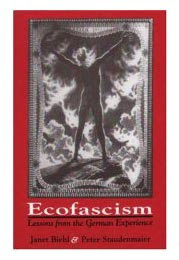 If you do not know much about ecofascism, read this book from Janet Biehl and Peter Staudenmaier about it. It was published by AK Press in 1995.